The stock value is one thing. Seattle's largest employer will have to make many right moves to keep its special mojo going. 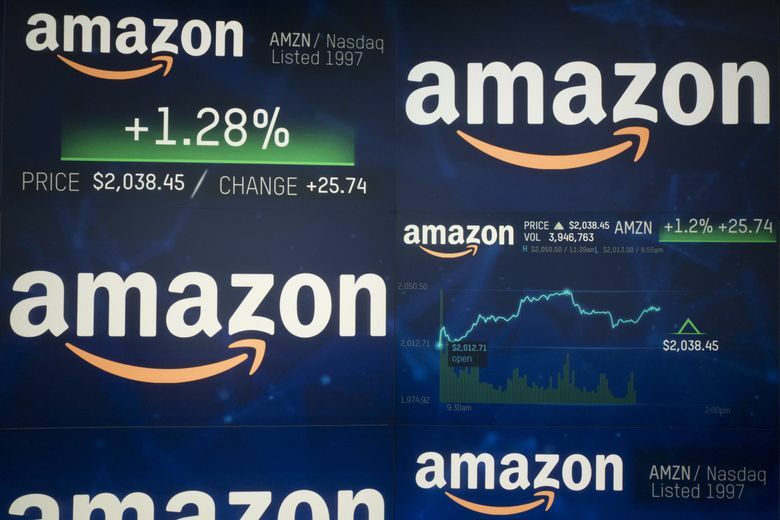 Now that Amazon has hit the milestone of a trillion-dollar market valuation, it faces four serious questions about how long its growth boom can continue. 1. The choice and execution of HQ2. It’s been a year since Amazon announced it would build a “full equal” headquarters to Seattle, with a final decision sometime this year. Twenty finalists made the cut from 238 proposals, but the company is keeping a remarkable cone of silence over its deliberations. The incentives demanded in exchange for 50,000 high-paid jobs and a $5 billion investment (something whiny Seattle got for free) have been denounced by urban scholars. But I doubt this will get much traction. States and localities give incentives for low-end assets all the time. This is the economic-development win of the decade and beyond. Still, Amazon must be prepared for some blowback from the losers. If it chooses the D.C. area, New York City or Boston, which I suspect it will, Amazon will be criticized for ignoring the heartland. Then comes the harder part: Building, staffing and giving a mission to HQ2. Seattle City Hall’s hostility to its largest employer has softened since the shock of the first HQ2 announcement. Does that change the site’s mission, perhaps intended as the escape pod from a hostile home? Instead of becoming the headquarters-in-waiting, does HQ2 take over operations of, say, cloud computing? The construction and hiring of talent on this scale is sure to be a mammoth undertaking, too. Amazon will be working with new partners, not the least politicians who need to show constituents the investment in HQ2 was worth it. It could become a $5 billion distraction for the company. How will Amazon manage all this? Seattle should not rest easy. Few companies have two “equal” headquarters. Will Seattle continue to be the primary hub of decision-making and corporate power? 2. Worldwide growth. Our cute little online bookstore is a giant in e-commerce, cloud computing, artificial intelligence, entertainment, advertising, logistics and technological innovation. It is also moving fast to establish itself as a global company. For example, Amazon is the No. 2 company in India’s e-commerce market, a sector valued at $33 billion. Amazon recently began using Hindi in addition to English to reach more potential customers. But there and elsewhere, rising nationalism and protectionism will present barriers and challenges to multinational companies. They might also face the consequences of President Donald Trump’s personality. Can Amazon meet its global ambitions in an age when globalism is in retreat, most of all because of the tectonic shift in the United States, once leader of the liberal economic system? 3. The Big Tech backlash. Facebook and Twitter were in the hot seat before Congress, with Republicans claiming they are anti-conservative. Democrats have their own complaints over the companies’ roles in 2016 election meddling and propaganda. Trump has repeatedly attacked Google. Progressives see Big Tech as an engine for inequality. In today’s polarized America, that’s a remarkable consensus (although not always over the same specifics). Nor is Amazon immune. Trump has made his distaste for Jeff Bezos well-known. Much of this enmity stems from Bezos’ ownership of The Washington Post, which has done some of the most aggressive reporting into the Trump White House. But the president’s anger could easily cross over to Amazon, which could make a ripe target for antitrust, fair trade or labor-practices investigations, as well as endanger its lucrative cloud contracts with the federal government. And it’s not as if Amazon’s enemies would go away with a Blue Wave. Far from it, as seen in Seattle, where some progressive activists blame our corporate windfall for every social ill. Democrats and other progressives are concerned about Amazon’s outsized market power and labor practices. Last month’s attack by Sen. Bernie Sanders about working conditions at warehouses prompted a rare rebuttal by the company. The Vermont independent then introduced a “Stop Bezos” bill aimed at taxing Amazon for underpaying workers. How will Amazon navigate this cross-ideological crossfire as it inevitably becomes a bigger target? 4. Overreach and the risks of expansion. Hugh McColl Jr., who built today’s Bank of America out of a modest Charlotte institution, said the hardest thing for any company is growth. Bezos and Amazon, while not immune to stumbles (remember the Fire phone? ), have been extremely smart in their march to dominance. One thing leads to another — e-commerce to the cloud, for example, or leveraging Prime — symbiotically. The company has a high tolerance for failure but succeeds on a large scale. It has been smart about its acquisitions, and these have not been the primary driver of growth. It has appetites to disrupt everything from groceries to health care. And there’s patience at the top. In a fawning profile, Forbes focuses on Bezos’ willingness to think long term. Maybe the lesson is also for corporate America to recover its willingness to build and invest for the long haul, but no matter. Amazon’s having a great run and Seattle is mostly better for it (ask the 238 localities that wanted HQ2). But nothing lasts forever, and Amazon is so opaque that its weak spots aren’t readily visible. Once upon a time the Pennsylvania Railroad, U.S. Steel, Ford and many others bestrode the business world as if they would maintain such power forever. How long will Amazon’s magic last? It’s a question that resonates from Seattle to Wall Street.